The perfect gift idea for Mother's Day, Valentine's Day, a birthday, or any time Express your love to your mother with a gift she will wear with pride. 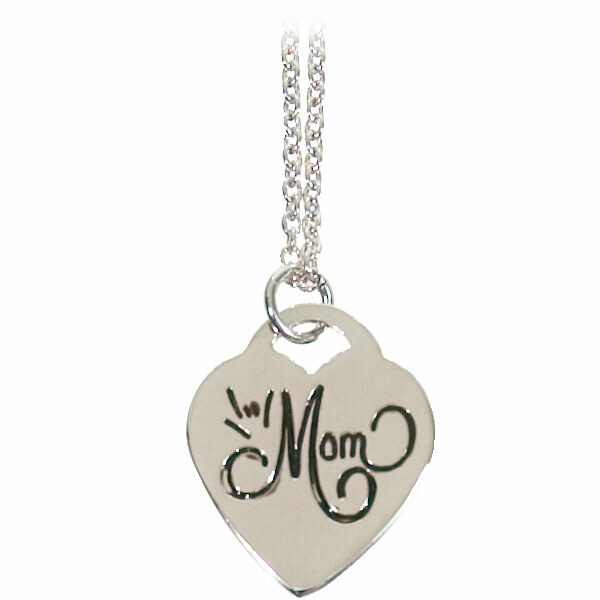 This heart shaped silver-plated pendant necklace shows a hand signing ILY and the word Mom in elegant lettering. Approx. 3/4 across. 18 fine link chain. Weight in Original Packaging: .3 oz.